"A picture tells a thousand words, or so they say". I can’t honestly tell you exactly how many words a picture actually says, but I can tell you that people like them. For starters, they’re easy. There’s no real reading, the picture conveys the message by showing you something. That image might cause some emotion to stir inside you, or particular thoughts to surface. It might explain how a place or person looks much better than words could, or it might explain a process that would otherwise take pages. 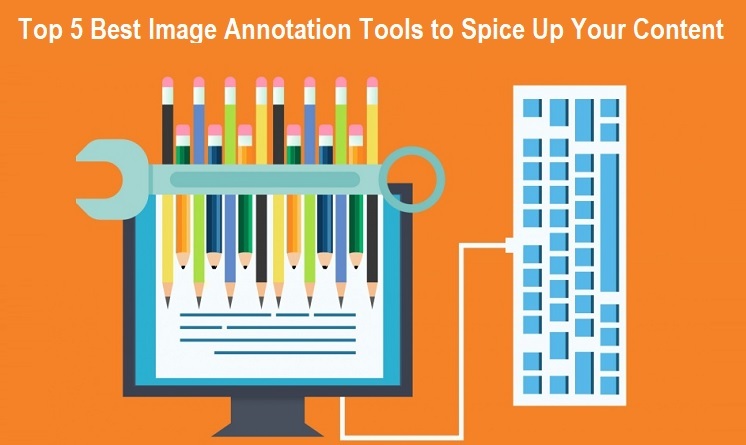 So today in this post, we are discussing the detailed review of Top 5 Best Image Annotation Tools to Spice Up Your Content. Whatever the situation, images are a lot quicker and easier to digest than text. They have already been shown to increase engagement and interaction for marketing purposes too. They can be eye-catching and interesting and can convey feelings/emotions far better than text. To maximize this impact it’s a good idea to personalize your images, annotate them and otherwise create your own unique flavor in any way possible. Let’s take a look at some tools to help you with this. The top pick goes to an age-old stalwart - Microsoft Paint. The paint was first created way back in 1985 and has always been included as a free part of the Microsoft package. The app is easy to use and can perform a variety of tasks, including many types of annotation. User friendliness is so high that young children are able to use this, but there’s a depth to it as well. Some users have created truly mind-blowing images from scratch by mastering the various tools. Being free and having an appeal to all levels make it an easy pick for number one. Give it a go and see how you fare. CloudApp is a snipping tool which allows you to quickly and easily modify and annotate images. It’s available on Windows, Mac, and iOS. Another user-friendly app, this one is free to try and has a number of extras like HD video and GIF creation abilities. DropIr (with an ‘i’) has a variety of pricing models for different types of users. Again it has a lot of functions integrated into one program so you can do all or most of your visual work in one place. The application really shines when it comes to taking screenshots and annotating them, so for users who do a lot of how-to guides and need visuals, this is a golden choice. Skitch has been a popular tool for a while, though it’s now become a Mac compatible exclusive. It’s still available on Windows, Android, and iOS but there won’t be any future updates, so over time, this will become less popular. It does have some deep and specific features though, so if you have unique needs give it a look. Apple Preview is more than a preview and resizes app. It has a number of markup and annotation tools which can perform some quick if basic, alterations. Being user-friendly and free are the best features about this pick.